(Natural News) Using electronic bikes (e-bikes) is as beneficial as using conventional bicycles in improving cardiorespiratory fitness, according to a study published in the Clinical Journal of Sport Medicine. The study also revealed that even overweight and untrained individuals can benefit from riding an e-bike. Researchers from the University of Basel in Switzerland compared the exercise intensity of e-bikes and conventional bicycles. To do this, they recruited 30 individuals who were considered untrained overweight individuals. Before the study, the participants were thoroughly examined, and their oxygen uptake capacity (VO2) was used to determine whether they were qualified for the evaluation of cardiorespiratory fitness. VO2 is used to measure how much oxygen a person can utilize during intense exercise. In the actual study, the qualified participants were divided into two groups: one group used a conventional bike, while the other group used an e-bike. All participants biked for at least 6 km on at least three days per week, with some of them wearing a heart monitor and a Global Positioning System (GPS) device. The participants set their own speed and the intensity of their rides. After one month, the participants underwent a health test again. Results revealed that both groups improved comparably well in their fitness, particularly their oxygen uptake capacity. In addition, their heart worked more efficiently after four weeks of training. 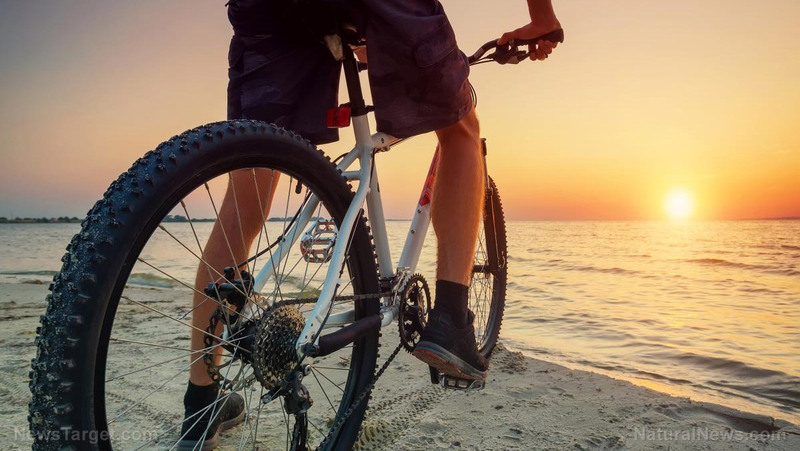 Moreover, the participants in the e-bike group were on average traveling at higher speeds and exhibited higher daily elevation gain. Arno Schmidt-Trucksäss, one of the researchers, said that the results indicated that the e-bike can boost motivation and help overweight and older individuals to continue fitness training on a regular basis. He also said that using e-bikes regularly provides long-term benefits not only in terms of fitness, but also in other health factors such as blood pressure, fat metabolism, and their mental health. Weight management: Regularly riding a bike can help lose or maintain a healthy weight. This is because it increases one’s metabolic rate, builds muscle, and burns body fat. Steady cycling burns approximately 300 calories per hour, and research suggests that one should burn about 2,000 calories a week through exercise. Cancer risk: Many studies have shown that cycling can cut the risk of cancer, particularly bowel cancer. Some studies have also suggested that regular cycling can lower the risk of breast cancer. Diabetes risk: One of the main causes of Type 2 diabetes is lack of physical activity. A large-scale study in Finland revealed that people cycled for over an hour every day had a 40 percent lower risk of developing diabetes. Bone health: Riding a bike enhances strength, balance, and coordination. Moreover, it may help prevent falls and fractures. People with osteoarthritis will benefit from cycling because it is a low-impact exercise that does not cause too much stress on the joints. Read more news stories and studies on improving health through exercise by going to Fitness.news.